The moment many have been waiting and asking for is finally here! 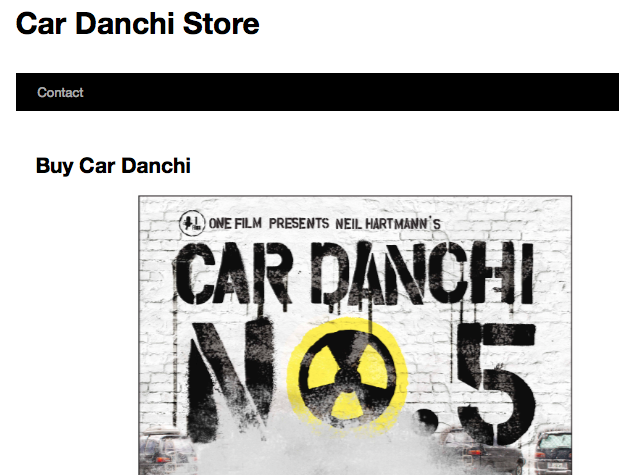 Car Danchi NO.5 is now available for sale on-line in the USA! If you live in North America and want to get a copy of my latest film effort, please follow the link below and throw one in your shopping cart! 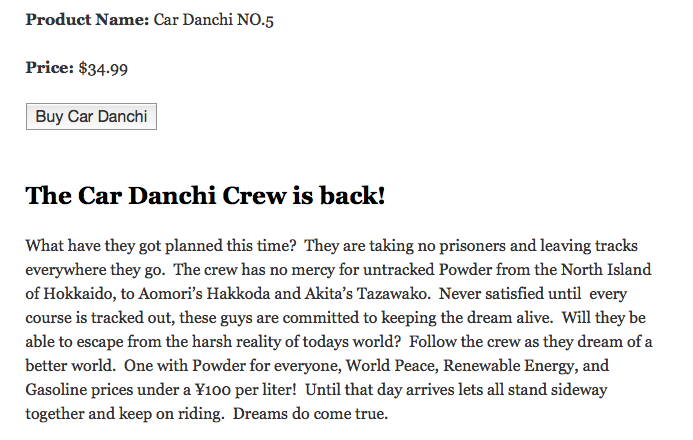 I have been making Car Danchi movies for the last 7 years and until now they have never been on sale in the USA. It was always too difficult to find a distributor and shipping directly from Japan was way too expensive. Thanks to my younger brother taking on the challenge to take and ship orders we can now make a limited number available, so get one quick! Our trip wrapped up today with a final day in San Francisco area and a quick trip to the Berkey area. Checked out some outdoor shops, the North Face Outlet store, a book store, Italian Lunch, Downdown North Face store on Post street, shot some portraits with Ian and Kami and had a nice dinner with Scott who has helped us set up this trip from the beginning! Also the weather was beautiful again! Big thanks to the city and all TNF crew who helped us out it has been a super productive trip! Can’t wait to get back! around that area, will report on the city in a separate post, for now here are some photos from the store. A North Face + store, which means the Helly Hansen brand is also featured along with a selection of outdoor gear from Stanley, Granite Gear and more. It is a spacious location with making for easy shopping, plus the whole mall is based on an outdoor theme so you can compare and shop other brands as well. Montbell has a huge shop in there with all their gear plus stuff like canoes and mountain bikes etc., I never really thought of Osaka station as an outdoor mecca, but I guess it is the stopping off point for people on the way to the mountains. Here are some shots from the opening reception for the North Face Kanazawa store. DJ Nori was there to select the music, Hikari set of the sound system nicely, the food was brought in from Tokyo including an incredible Parma ham from Italy! Very nice evening indeed. In total 4 hours of snacks shopping and conversation, my feet and back were tired before I even started work taking pictures of the store! The photos of the store are in the post below. We always have to wait until after the reception is over and the staff can put the store back together. The includes cleaning up, moving furniture, displays, lighting etc., It usually takes about an hour to two hours just to get the store back to a state where I can take shots. Then the staff has to leave the store for about 30 minutes while I shoot, they don’t minds as that is when they finally get to eat some of the left over catering! Thanks to the staff for a nice evening. Just back home from a quick trip to Kanazawa for the opening of a new The North Face + store. The + store includes the brands Helly Hansen and Champion as well as all the North Face gear, plus items like Alite, Stanley and Granite Gear etc., Beautiful store, large and spacious, located on the Wi-Fi street shopping arcade. I guess there is free internet access on the street, there was even American radio playing as BGM on the street. Kanazawa stepping to the young generation I guess! Check out the store if you are in the area! And check out the great car I spotted outside the store.